How do I Change the Carrier Name Sent to the Store in Tracking Data? You can now specify a different carrier name when tracking data is sent to your store. Some platforms look for specific carrier names in the tracking information so they can generate tracking URLs. Some of our customers would like to change the Carrier Name that is uploaded to their store when tracking details are sent. To do that, we have added an option in the Carrier Settings page. 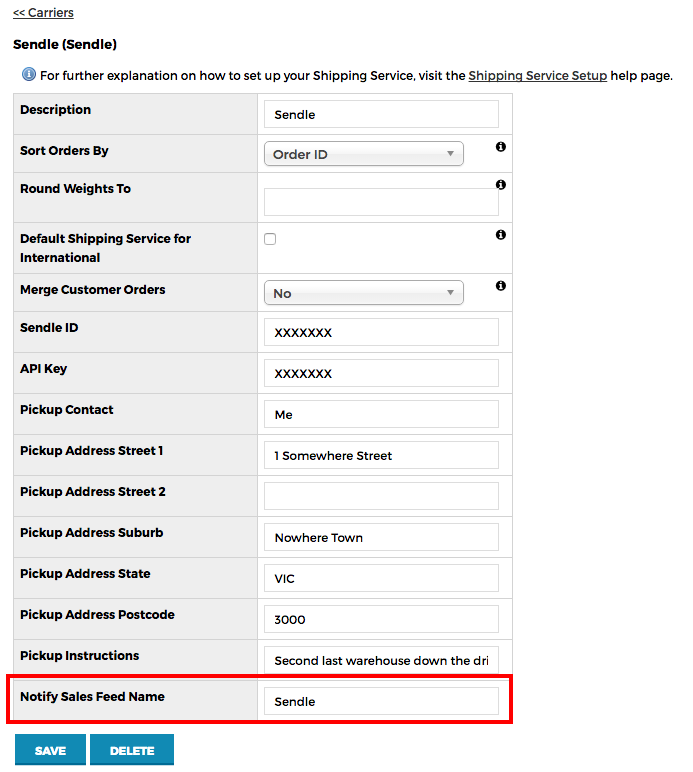 Here is an example of the Sendle Carrier settings page showing you the new fields.